In this new episode of Kaiju Addicts TV: a look at a new bonus extra coming with the the 30cm Series Godzilla 2014 Roar Version Diamond Reissue: a MUTO head. A quick review of upcoming Japanese releases and a long look at the huge number (NINE!) of North American (Diamond) Reissues due out in February and March. 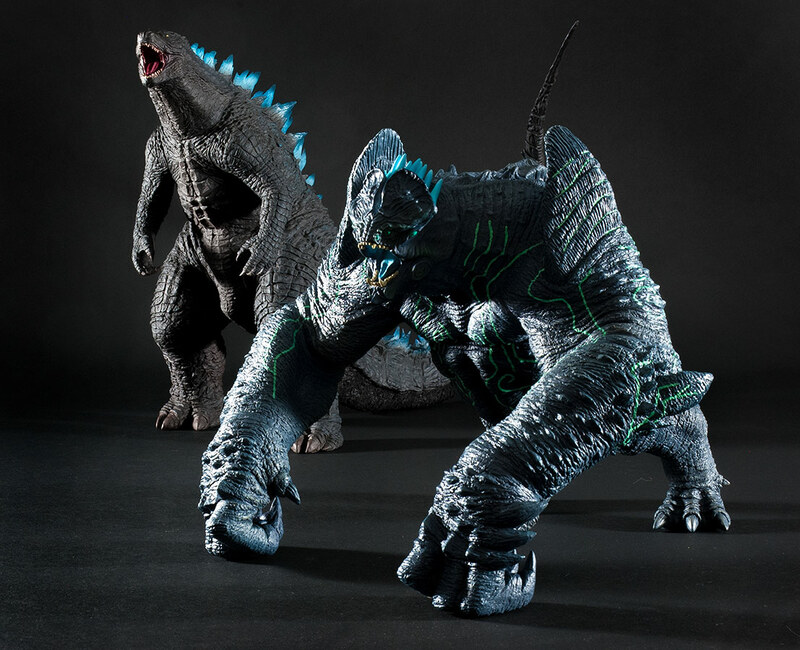 The 30cm Series Godzilla 2014 (Roaring Version) and the Large Monster Series Pacific Rim Leatherback. 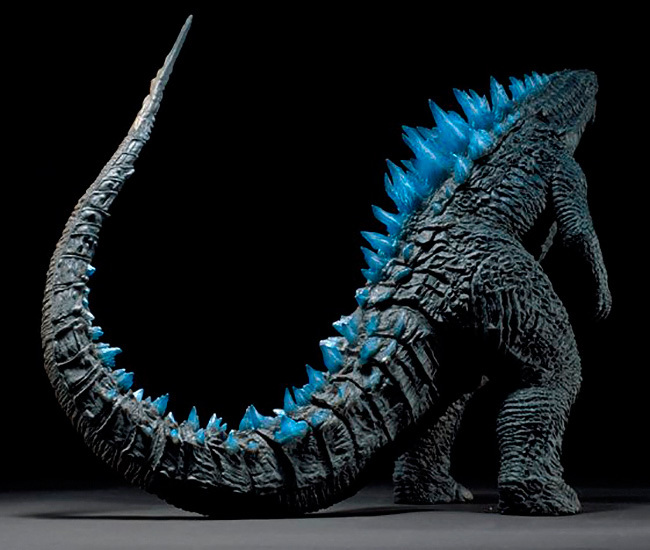 Obelisk Collectibles reviews the Toho 30cm Series Godzilla 2014 Roaring Version vinyl figure by X-Plus. 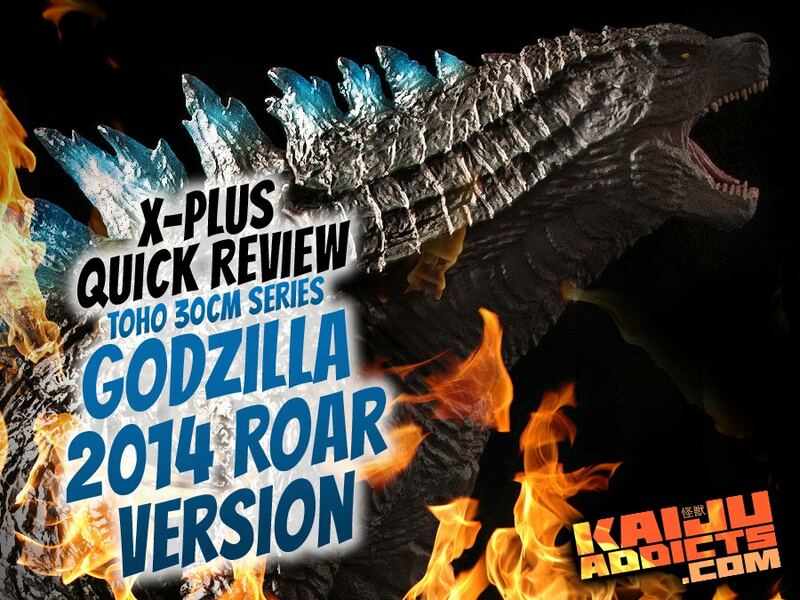 Rich Eso reviews the Toho 30cm Series Godzilla 2014 Roaring Version vinyl figure by X-Plus. 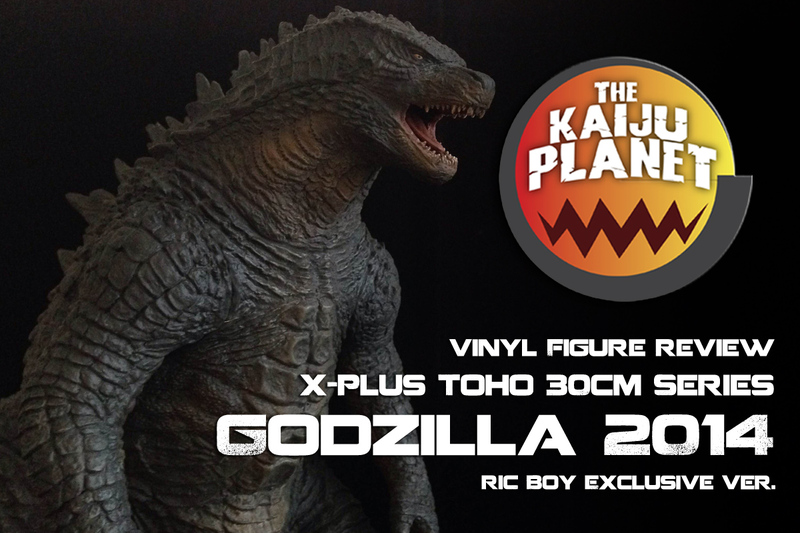 Rich Eso reviews the Toho 30cm Series Godzilla 2014 Ric Boy vinyl figure which came out July 2015. See link to more reviews on this figure at the bottom of the Kaiju Addicts review here. 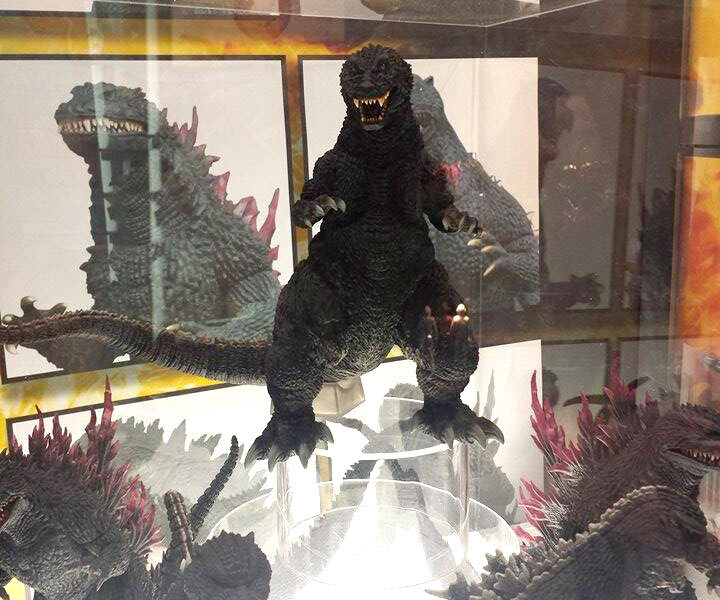 The Toho 30cm Series Godzilla 2014 Roar Version vinyl figure by X-Plus (released February 2016) is mostly the same figure as the original version which was released seven months earlier. But, three key differences warrant its own review. 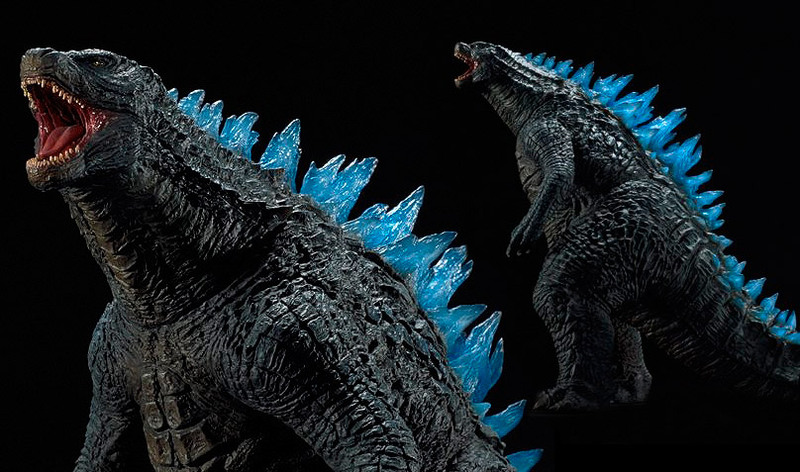 Here, in this Quick Review, I will discuss the new head sculpt, translucent dorsal spines and nighttime paint scheme. You can get my thoughts on the rest of the figure in the Review for the Original Version. 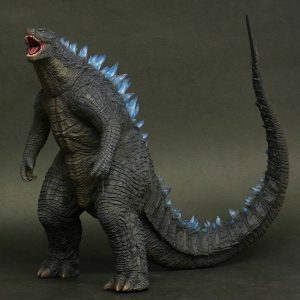 X-Plus suddenly announced today pre-orders for the Toho 30cm Series Godzilla 2014 Limited Roaring Version vinyl figure (東宝30cmシリーズ GODZILLA ゴジラ(2014) 限定咆哮Ver.). 1. The head sculpt on this figure is reared upward and in full roar! But this isn’t really anything new. 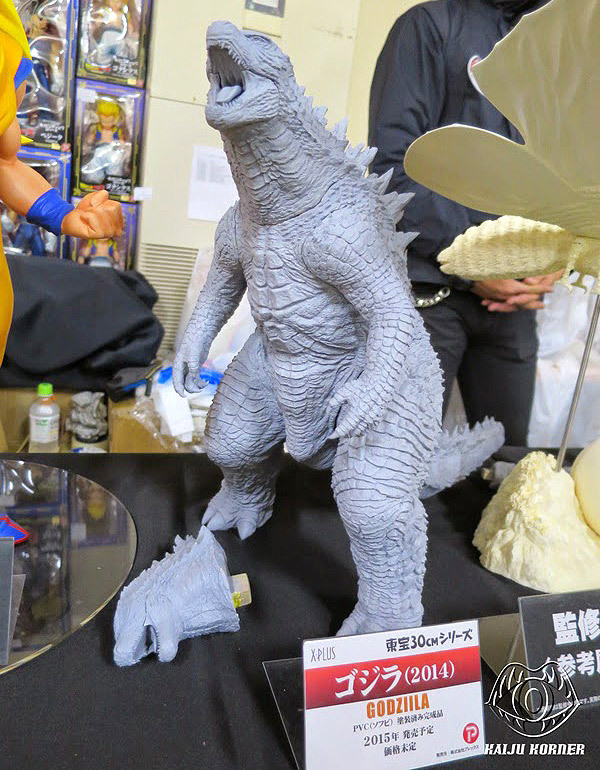 In fact, this how we first saw the figure back in January 2015 at Wonder Festival 67. Back then we thought we were going to get a Ric version that came with both heads, but they instead settled on using the one laying on the table in the photo above and gave us a mini MUTO instead. Well, now we get to have both! 2. Translucent vinyl dorsal fins painted blue capturing the moment of imminent atomic breath discharge from the movie. No, they do NOT light up even though some of the graphics on Bandai’s site seems to suggest they do. For example: 発光状態をイメージした means “Image of light-emitting state” according to collector and superfan, John Ruffin (Check out his site!). But, Gee Okamoto from X-Plus has confirmed to me that there is no light feature. But the fins definitely are translucent and their clear quality can capture light from the room and hint at the same effect. Now, as to its availability: this figure is going to be a Ric Boy Exclusive AND a Premium Bandai Exclusive. As contradicting as that may sound, you should note this will NOT be available in regular stores, so it’s exclusive enough that it will be harder to get. If you are able to navigate the all Japanese Ric Boy and Premium Bandai sites, have at it. The pre-order window is now open. Curiously, there’s no word on when that window will close. 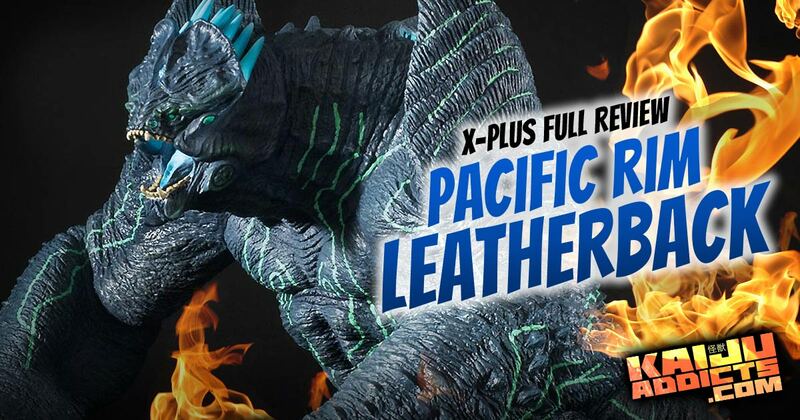 Pre-order at the X-Plus Ric Boy Store here – Limit 2 per customer. Pre-order at the Premium Bandai Store here – Limit 2 per customer. Order this figure from Mike Johnson. Rich Eso has a great how-to article explaining how to get in touch with Mike, a trusted source for hard to get X-Plus figures for many a collector. 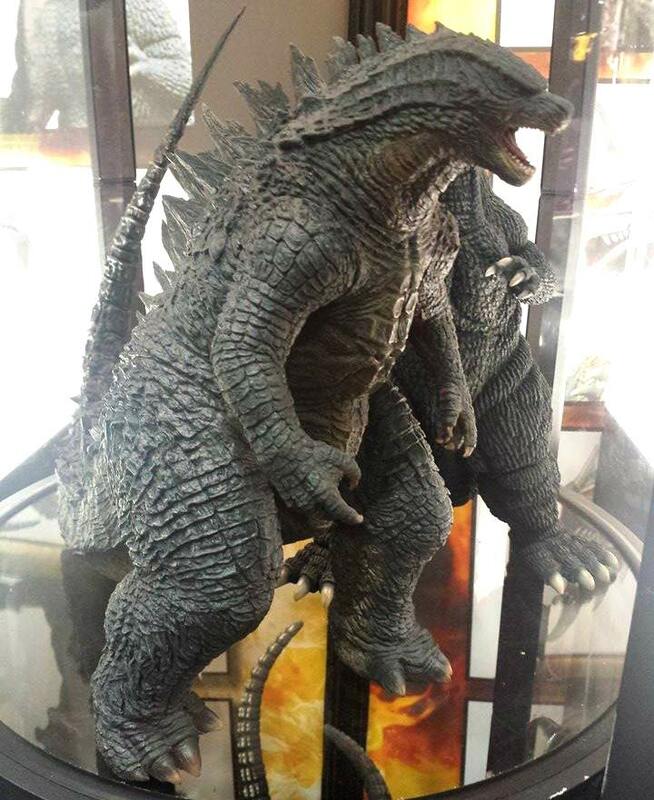 If you are new to X-Plus and would like to know more about (most of) this figure, visit my Toho 30cm Series Godzilla 2014 Review of the original release. You’ll just have to mentally substitute the head and clear fins when you do. One final thing: I’d like to make a prediction. 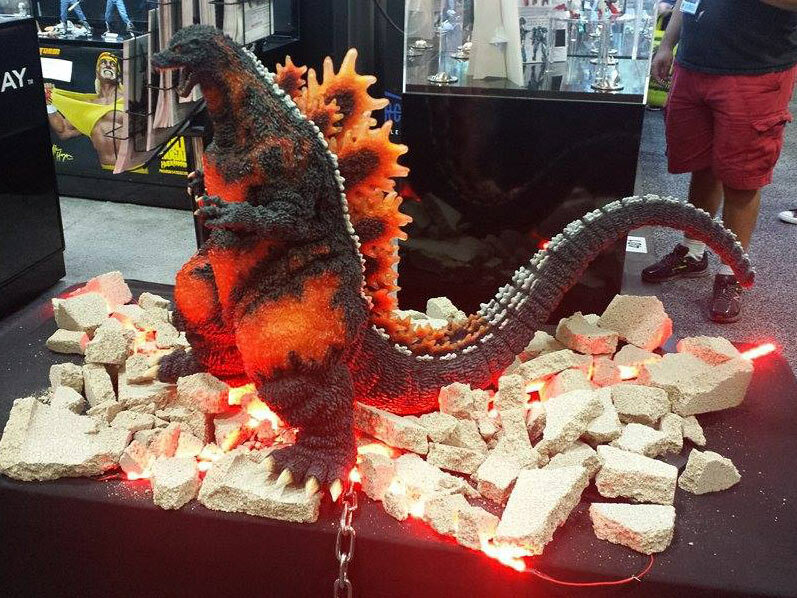 It was revealed earlier by Michael Cherkowsky of Vampire Robots that our promised 12 Godzilla Diamond Reissues have been taken away and that we are instead getting about 5 Godzilla figures, all with new or modified sculpts. 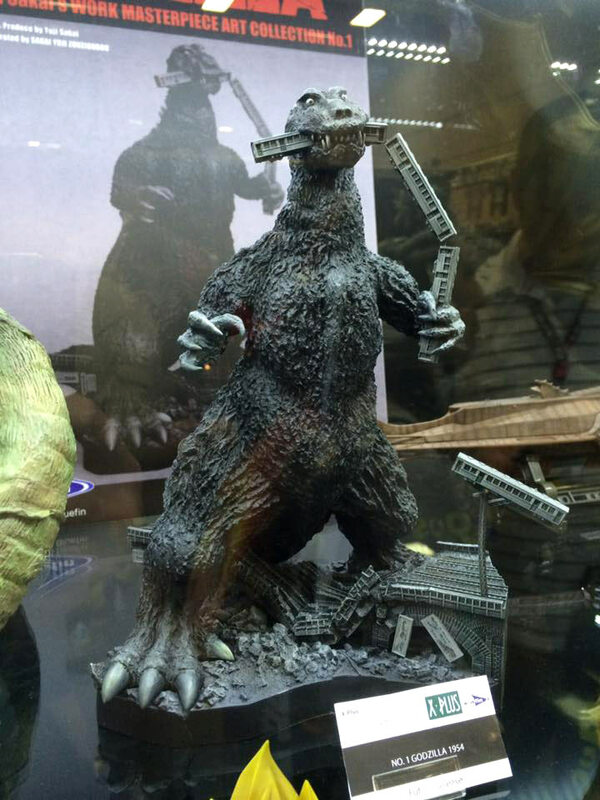 I would not be surprised in the least if one of these is this Godzilla 2014, with roaring head, sans the clear fins. Not a fact. But don’t be surprised if it happens. 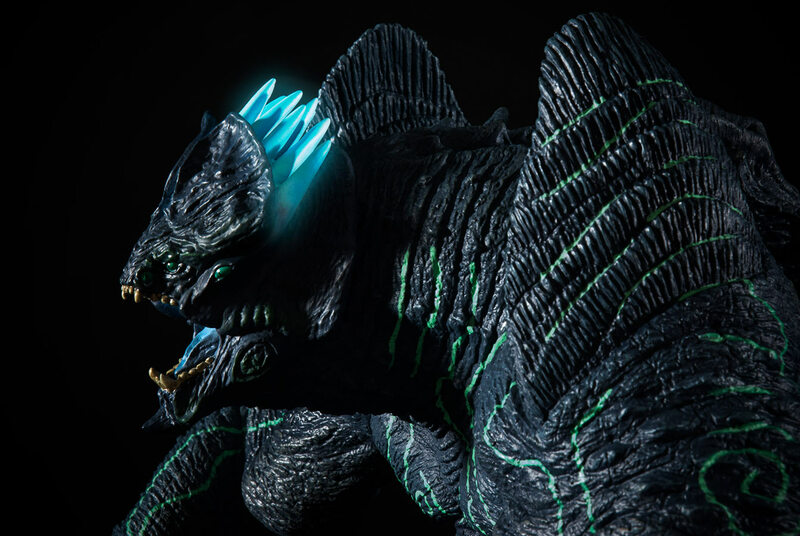 The Kaiju Planet steps back in front of a video camera for this review of the Sideshow Collectibles’ Godzilla 2014 Maquette. 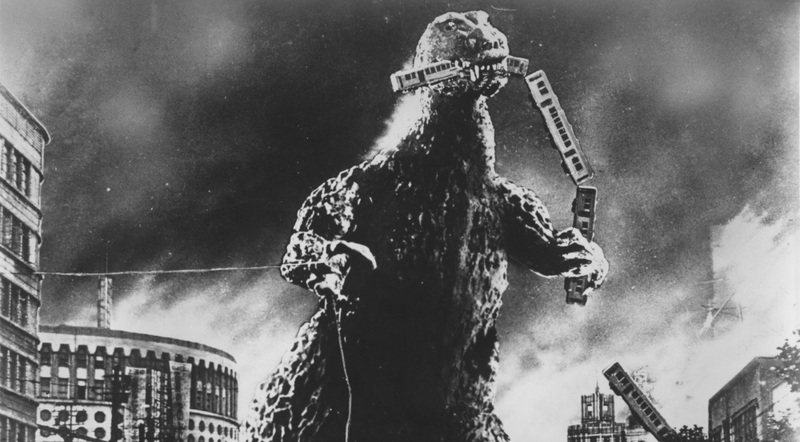 Also, visit The Kaiju Planet website for some supplemental photos of this beast! 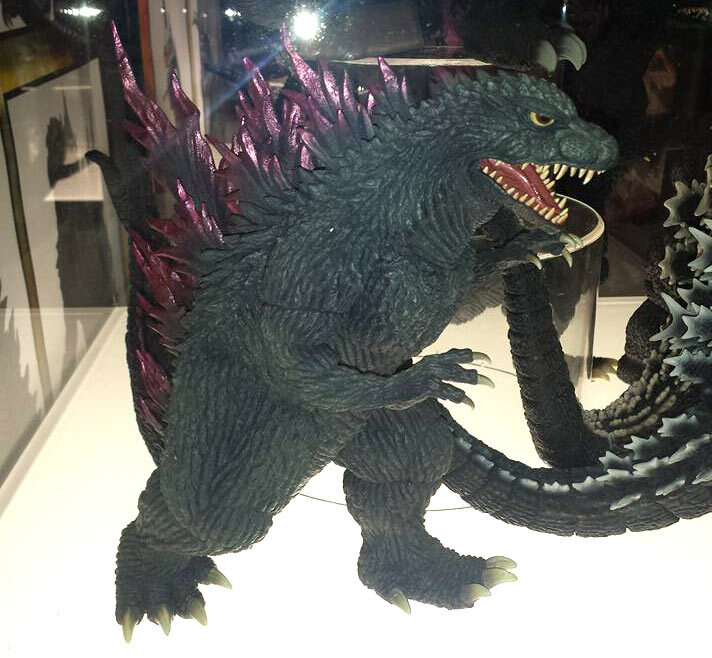 The Kaiju Planet has a written review with lots of photos of the Toho 30cm Series Godzilla 2014 vinyl figure by X-Plus. Visit Arlo’s site and read his review!